So often we measure success by how much money a person has. And in Hollywood, it’s no different. Often times, Hollywood is seen as successful with all its fame and glamour. But it’s nice to know that several Hollywood celebrities know how to give some of their hard-earned money away by donating to charities. From your favorite singers, to veteran actors, these celebrities prove that their name is not just about success, but also for sincerely helping others too. She made it to the headlines as she celebrated her 24th birthday last year while donating $100,000 to the Nashville Symphony, a charity which supports arts in Nashville, Taylor Swift’s home since her teenage years. Nashville Symphony was in the middle of a financial rut in 2013 and it was on the verge of foreclosure. Swift’s generous donation became its saving grace. The year before, the singer also gave Country Music Hall of Fame a $4 million pledge. Taylor Swift was declared as the most charitable celebrity in 2012 and 2013 by DoSomething.org. Place One Direction and the girls will definitely scream. But aside from making chart-topping hits, this group of five boy band also has the heart for helping. One Direction worked with a 6-week campaign to raise money which amounted to $784,345 that will go to a non-profit charity in London to support cancer research. The fivesome also initiated a friendly soccer match in May this year involving other celebrities wherein ticket sales were donated to UK Heart and Mind Challenge and Autism Action. Real-life couple Angelina Jolie and Brad Pitt may be known with adopting kids of various nationalities and taking them into their growing family, but Jolie and Pitt are also very philanthropic. Angeline founded the Maddox Jolie-Pitt Foundation which aims at uplifting rural poverty in Southeast Asian countries, while Brad Pitt founded the Make It Right Foundation which rebuilt hundred of Hurricane Katrina-affected homes. The latter foundation organizes a yearly gala which has raised up to $5 million in donations. Elton John’s work with charities primarily focuses on raising donations for Elton John Aids Foundation (EJAF). EJAF advocates support for AIDS programs as well as fight the stigma against the LGBT community. The foundation conducts various events and galas the whole year round to gather donations in support for this cause. To date, EJAF has received around $125 million in donations. 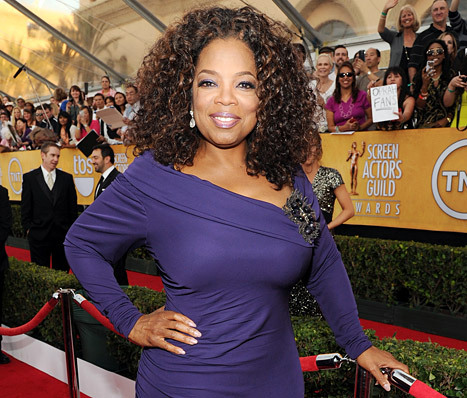 Obviously, Oprah has a lot of her plate, but she never forgets to give back. Oprah founded the Oprah Angels Network, an organization devoted to rehabilitation and relief efforts for the victims of Hurricane Rita and Katrina. She also established the Oprah Winfrey Leadership Academy for Girls aimed at empowering women in South Africa. Oprah also generously donated $100,000 to Mikey’s Run, a charity started by a 13-year old amputee to help the victims of the Boston Marathon bombing. Certain charities, like the US Dream Academy, rely heavily on Oprah’s donations for sustenance and continuous operations. Many other celebrities don’t take their business success lightly. Bono, Sandra Bullock, Ellen DeGeneres, Beyonce, the late Paul Walker, and even Justin Bieber have all made generous donations to their chosen charities. It all comes down to talent, hard work, success, and giving back.